Be careful little #eyes what you see. It has been said that our eyes are the windows to our soul. If that’s the case we need to take great care in what we allow ourselves to view. It’s all too easy to fall into a habit of being careless about what we see, what we watch. TV is the most likely culprit. It’s easy to think it’s just a silly show- how can that influence my day to day life? It’s amazing how quickly we can become desensitized. Just like our bodies become what we eat, our mind becomes what we see. 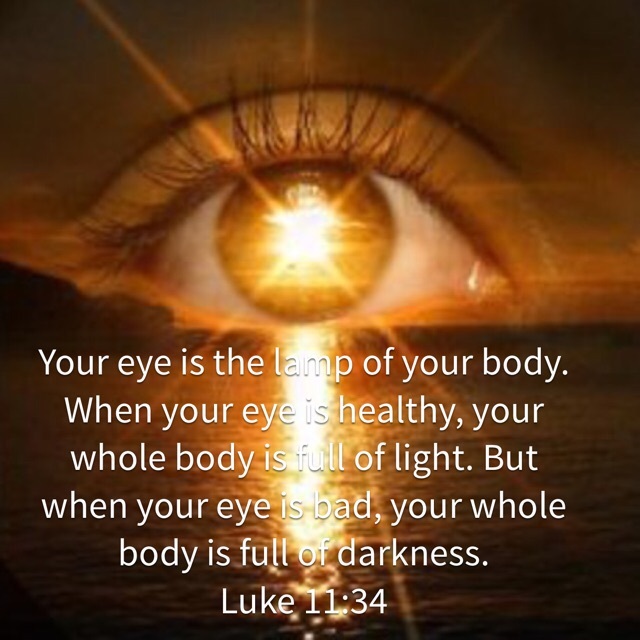 Let’s be mindful of what enters our eyes, so we can fill our bodies with light instead of darkness!